The situation in Balochistan continues to be volatile. 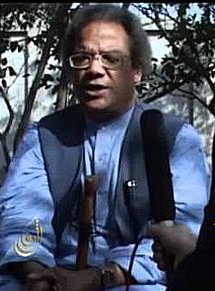 The latest victim of the violence and anarchy in Pakistan’s largest province is the well known Baloch rights activist and professor, Saba Dashtiyari, gunned down in Quetta on June 1, 2011. Words are not enough to express outrage and grief at this continued genocide of Pakistan’s liberal, secular, progressive citizens. “As young kids, we had heard charming stories about a Baloch professor who was an atheist but, ironically, taught theology and Islamic studies at the University of Balochistan. Another thing that fascinated us about him was the narrative that he spent most of his salary on the promotion of Balochi language academies and preparation of Balochi text books,’ writes Malik Siraj Akbar in his moving obituary for the slain professor in Baloch Hal. Salute to Naeem Sabir (above) and Shahbaz Bhatti: dedicated human rights workers, paid with their lives for speaking out for the truth and for justice.